Blockchain originally started as the base for cryptocurrencies which went on to become one of the most revolutionary digital products ever created. However, in recent times, researches have shown that blockchain is much more capable than nearly powering digital tokens. The blockchain is being used in almost every business sector, like banking, pharmaceutical, virtual gaming, manufacturing, and more recently, publishing. The second largest newspaper published in the US, The New York Times, has revealed its plans to apply blockchain technology to publish newspapers. The stalwart journalism Corporation is looking forward to test the technology in order to evaluate its potential and capabilities relevant to the publishing business. The revolutionary technology has been growing in popularity for quite some time now. Giant corporations like IBM, Facebook, JPMorgan, HSBC, TCS, etc., are betting high on the blockchain. JPMorgan became the first bank in the US to launch its own cryptocurrency, while HSBC completed forest transactions of $250 billion using blockchain technology. Even the social networking giant Facebook couldn’t keep away and is in the final stages to launch its own digital token. Corporations across the globe are setting up their own divisions to conduct research and development on blockchain technology. With every passing day, newer uses of blockchain are coming to light. In fact, The New York Times isn’t the first organisation to apply blockchain in the publishing business. However, it might surely be the first traditional newspaper to use it. The New York Times is amongst America’s best media houses, known for representing true American journalism. For the past few years, the iconic newspaper has been striving for innovation, eyeing for better technologies to improve quality and reduce costs. For this reason, it has decided to give blockchain a shot to realise whether it could be the innovation it was looking for. The Times website listed a job vacancy on Wednesday for a blockchain expert who could help the newspaper develop a distributed ledger system for publishing. New York Times actually wants to start a completely new project solely to develop blockchain for the company, and testing it over the next 12 months before adopting it in daily operations. 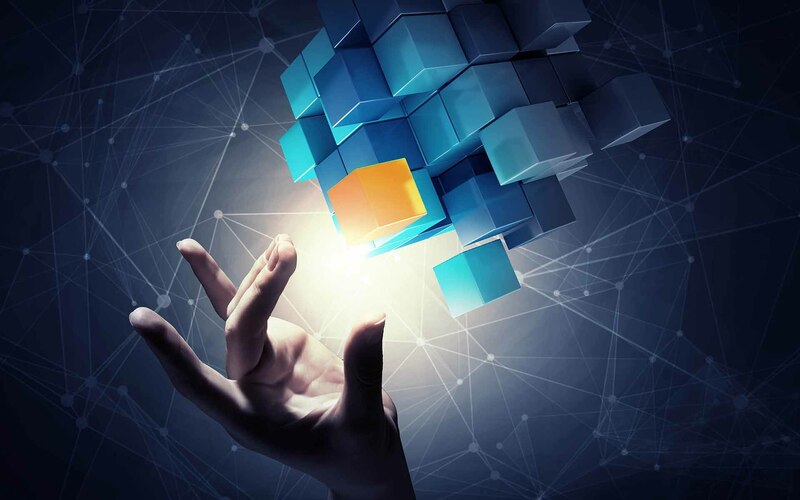 The blockchain developing project will have a primary focus on existing challenges for the company in terms of production, quality, transparency, and organisation. When it was launched, blockchain was considered to be another internet bubble, and experts believed that it would burst before gaining any significant traction. However, the traction which blockchain has acquired across the globe in the last few years is absolutely phenomenal. The technology has been a priest by industry stalwarts, who have claimed that if applied sensibly and with proper research, blockchain will significantly improve business operations in every sector which will reduce costs and time consumption to a great extent. The behemoth media agency has been a long time supporter of blockchain technology. The newspaper has published several stories in the past covering challenges the platform faces, how it could revolutionize the world and other related stuff. Blockchain has the potential to completely revive independent and truth-oriented journalism. In these times of social media and WhatsApp, fake news has become a common problem, which isn’t something desirable. Propaganda journalism has taken the world by storm, creating a divide in the community, causing people to resort to violence and hatred for minorities. The recent attack on the two mosques in New Zealand is one of such grave examples. Blockchain technology can be used to segregate fake news from real news effectively, as the data contained in the blocks cannot be manipulated or duplicated. One of the possibilities is that the blockchain won’t allow publishing any story which according to its vast network of computers seems to be fake or provoking violence. However, like any other technology which is relatively new, blockchain also has a problem which affects its growth. The problem is the shortage of skilled professionals for developing platforms. A dearth of required manpower has held back the technology from reaching its full potential. This has created a separate niche in the education sector, where blockchain and related technologies are now being taught a separate subject. SEC’s Senior Advisor for Digital Assets, Valerie Szczepanik, believes digital-asset backed stablecoins may be considered as securities.